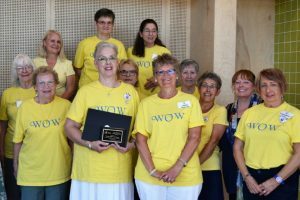 On May 30, 2017 the Women of Oliver for Women Group were presented the 2016 Spirit of Oliver Community Group Award by Mayor Ron Hovanes on behalf of the Council and the Town of Oliver. This award is in recognition of outstanding contributions to the community. 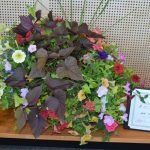 The group was presented with a plaque, plus a beautiful arrangement of flowers, donated to McKinney Place, currently displayed at the front entrance. 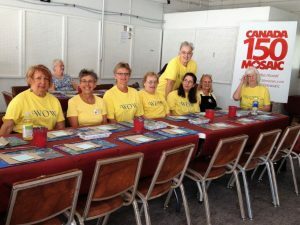 WOW ladies were very pleased to participate painting tiles for Canada’s 150th Birthday Mural. The Oliver mural image is designed to connect seamlessly with others across Canada and be part of a whole train motif. The finished mural will be permanently installed in Oliver’s downtown area.